Izwe Lethu's tweet - "#Bosasa Adv Pretorius Mr Venter says, in relation to a R3m payment: 1. R2,5m was for a purchase of Miss Gous property 2. R500k to EFG2 with ABSA. I was told it was for a Foundation Trust of Andile Ramaphosa, Dep President's son Strange but wouldn't dare question Gavin Watson "
This huge and can’t be downplayed! Statement nyana from the Precidency? Or it doesn’t matter now? Baphi abo “connect the dots”? He thought the he'd hide the corruption within the IPPs, Petrol hikes and Tax hike. He thought he'd hide all these things he did ever since he been the president and now the BOSASA story is following him, Cyril Ramaphosa is the most corrupt politicians ever in this country. Sometimes i wonder what happened to bo Connect the dots....they are so quite nabo 500mln...the verve in reporting this scadal that involves the president has been somewhat suppressed...or those politicians conniving as journalists are on the protect Ramaphosa at all cost mode? Le commission of enquiry izoqumba abantu phansi, ikakhulukazi laba abathanda izikhundla. 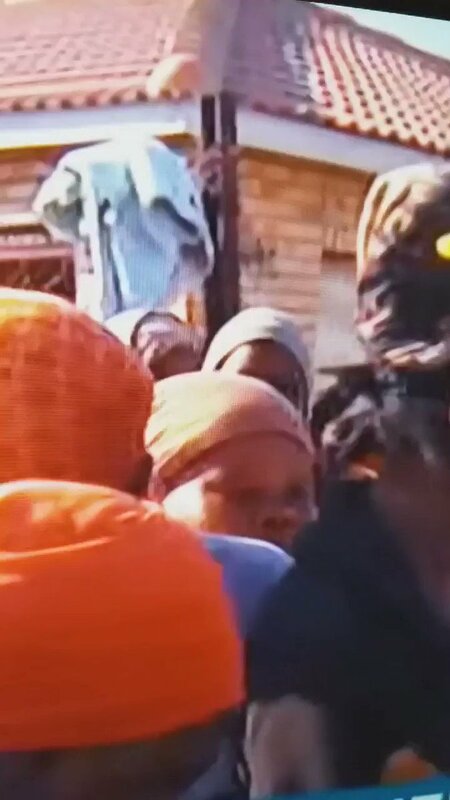 Ngicela ningibizele uJuju. I want to hear his views. #KnowYourANC Know your #Ramaphosa #ThumaMina is a scam...Black people please wake up? Unfortunately these news will not be filtered down to the masses of our people. Those who make the majority of the voters. Thank you anyway for always keeping us informed..
Andile and his cousin we’re both flown to Cape Town by #nafizmodack, a well known criminal, and each paid R20,000 for half an hour! Andile and the foundation's chairperson must testify...at the commission. Sisi thanks for keeping us updated! I think my job is interfering with my State capture viewing. I suspect Mr Connect the dots AKA clean guy is in a state of panic as this #StateCaptureInquiry with #Agrizzi opening all cans of worms at a go he might be caught among the thirty something with his paid journalists. But Ramaphosa said it was for his ANC election campaign. Eintlik what’s happening? The "can of worms" is being ripped open. Ubaba ka Andile must tell us what must happen now. Makube njalo. We have a case to use as a reference. Ubaba ka Duduzane. Common law must apply. Northern Cape has 2 Bosasa youth centres. Wonder if persons here got some grey bags from Bosasa?? This cyrill goon of yours ANC is really a migraine to poor SAs. @CyrilRamaphosa someone is lying ?